Aquarius Railroad Technologies are a market leader, providing safe and efficient transport solutions for track maintenance. 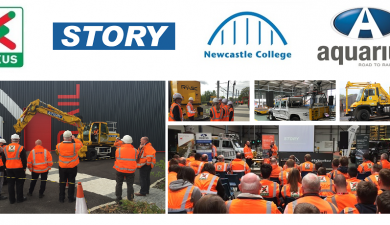 Our Road Rail Vehicles are designed to improve health and safety, increase productivity and save our clients’ money from Road to Rail to Site. 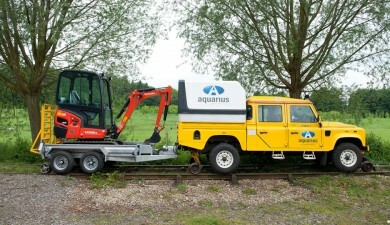 At Aquarius we believe in making everyday railway maintenance tasks simpler and safer. 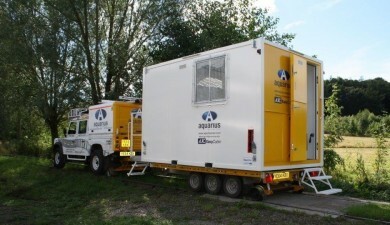 We are specialists in the manufacture, hire and maintenance of highway based road/rail vehicles. With a wealth of expertise in design, engineering and manufacture at Aquarius we are passionate about innovation. We have developed a wide range of niche products to meet our clients requirements. 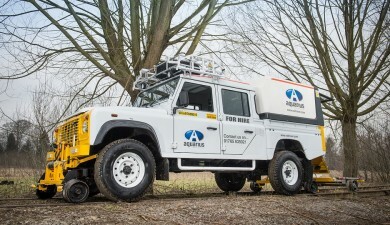 Aquarius solutions include BV1000 and Welding Road2Rail 4x4s; vehicles to tackle autumn leaf fall on track and ice on the third rail; compact Rail Mules with Ultra Light Trailers: and an RRV truck the Rail Canter for larger projects. Our latest products: the Load Tray Extension (LTE) gives additional payload and the Road2Rail Plant Trailer is our solution to delivery rubber tracked plant, equipment or materials weighing up to 2.7 tonnes quickly from road to the track work site. Minimise manual handling and reduce risks of slips, trips and falls when pushing trolleys up track, with all equipment and personnel being transported by road and rail in an Aquarius RRV. Road to Rail to Site: Personnel and equipment are delivered direct from depot to the track work site without any load transfers. 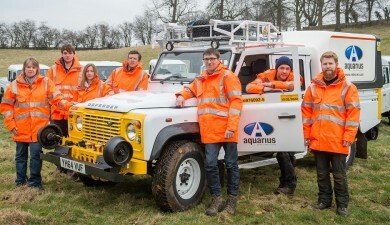 Maximise limited possession times: on/off track, travel & work under live OLE; Aquarius RRV on/off track quickly and travel at a high rail speed of 20mph/15mph in reverse. 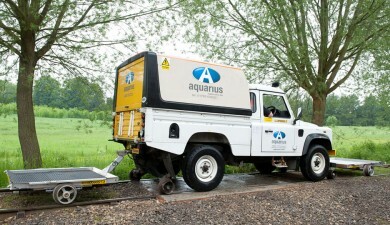 There are no additional haulage charges with Aquarius R2R 4x4s and Canters. 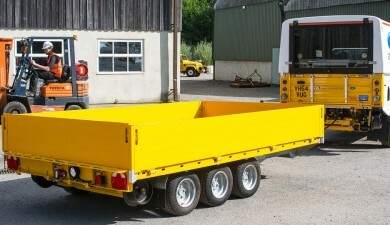 They are self-sufficient highway vehicles suitable for road and rail duties transporting up to 3.5 tonnes from Road to Rail to Site. Mitigate rail adhesion issues with autumn leaf fall on track with an Aquarius Sand R2R 4×4, and treat ice on the third rail with the Aquarius Frost R2R 4×4. Both are ideal for branch and freight lines. Available for hire. Our flexible RRV’s can be manufactured or converted to your specialist requirements from p-way maintenance to filming for the BBC’s Top Gear.